As Union County Clerk, Joanne Rajoppi has dedicated her efforts to constantly improving residents’ accessibility to services. 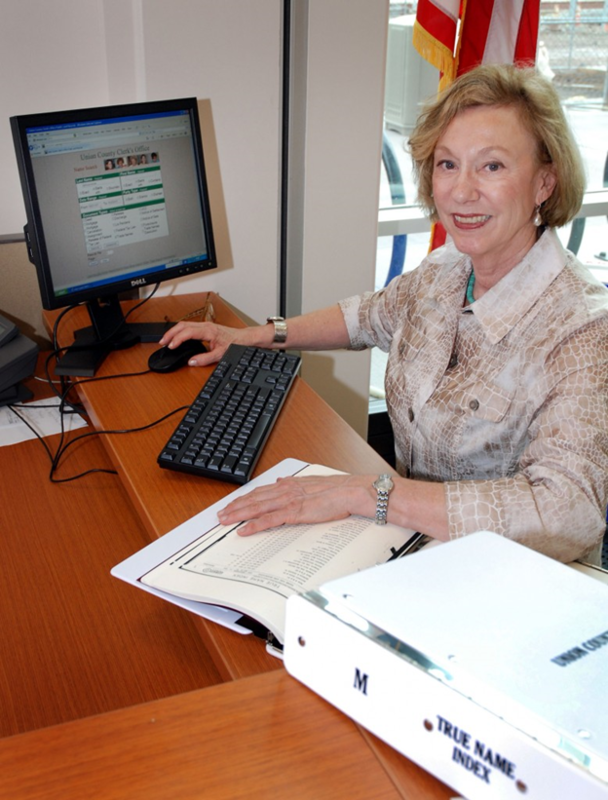 Under her direction, the Office of County Clerk already performs multiple functions and services some of which include: Administering election laws; recording, filing and preserving all property documents; processing Passport Applications; swearing-in Notary Publics; issuing Public Oaths; recording Honorable Veteran Discharges, Veteran Peddler Licenses, Inheritance Tax Waivers; Trade Name Certificates and Clerk Certificates. Rajoppi has implemented extended hours including evenings and Saturdays at her Westfield Passport Office. Her office was cited last year by a National Passport Processing Center for outstanding efforts in processing more than 600 Passport Applications in a three-day period including a Saturday. Another outreach program Rajoppi initiated is an Annual Election Calendar, available to residents and town agencies free of charge, which provides important election dates and information to voters. The calendar has proved so popular other counties have modeled editions after it. 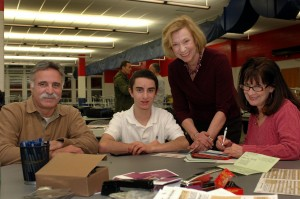 An instructional video, available on the Clerk’s website, on how to vote by mail was produced by the Clerk to assist voters with the ballot form; she also instituted Saturday hours for voters to access Mail-In Ballots prior to each election and designed a comprehensive user-friendly services website along with a property website. Rajoppi also conducts outreach by participating and speaking at area expositions, fairs, colleges, club and service organizations, with special attention to youth and seniors. A major accomplishment Rajoppi is proud of is her whistle blowing campaign against the voting machine company Union County and most other New Jersey counties use. Rajoppi discovered serious discrepancies in the results from the Presidential Primary Election and June Primary of 2008 and immediately alerted other County Clerks, the NJ Department of State which oversees elections as well as the voting machine company. She called for an independent analysis of the machines by nationally-recognized computer experts at Princeton University, which was eventually ordered by the Court. Although threatened with legal action by the voting machine company, she persisted to alert the public to the problem. A State Court case and eventual court-mandated changes in the process now make the voting system more secure for voters. The New York Times cited her efforts and state leadership in an editorial. Other areas of innovation include the computerization of indices of all document records dating from 1977. In addition, images of most of these documents are available 24/7 on the Clerk’s Public Land Records website. The Clerk has also worked to redact personal information used in identity theft from public records accessible to the public in order to protect homeowners. Rajoppi’s office also assists with Notary Public applications. She designed an instructional manual to assist and inform new Notaries of their duties and responsibility. She formatted a booklet for all new business holders that provides important and helpful information on running a business in Union County. She also inaugurated a courtesy Veterans Document Card to assist veterans in obtaining some other services they are entitled to. Recently, Rajoppi was elected to the position of President in IACREOT, the International Association of Clerks, Recorders, Election Officials and Treasurers. Rajoppi is a six-time recipient of the National Association of Counties Award for innovative government and computerization. She also is a recipient of the prestigious Gill C. Job Award from the Constitutional Officers Association of NJ (COANJ), former President of COANJ and former President of New Jersey Association of Counties. She served as an adjunct professor at Rutgers University for almost 20 years teaching Public Administration. The County Clerk’s Office is one of the few government agencies which generate revenue from mandated recording fees. In 2012, the office total revenues reached $28 million which, in turn was used partially to offset the County Tax rate with the balance reverting to the State’s General Fund.